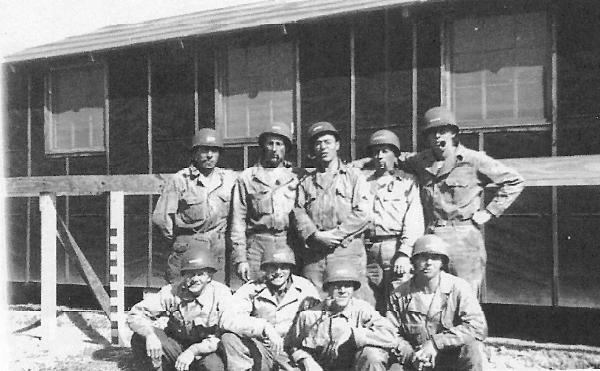 T/5 William W. Kincade: Top Center is T/5 Milton Reeve: Top Right is T/5 Leo D. Burrell. 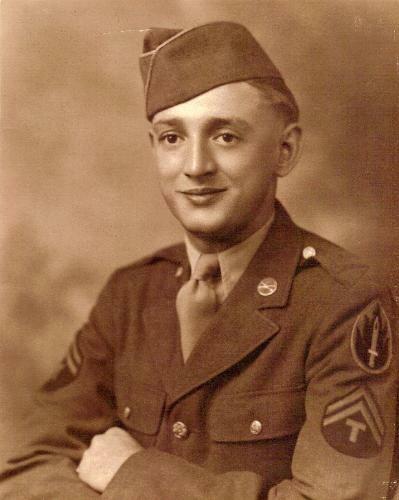 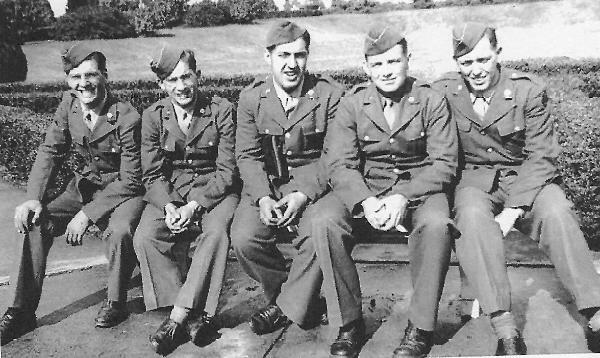 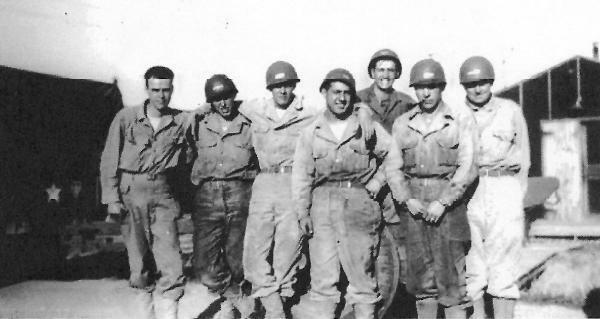 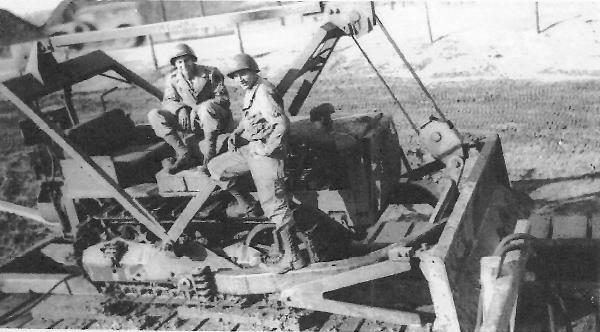 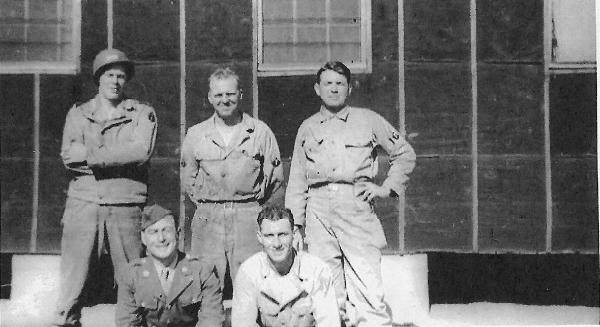 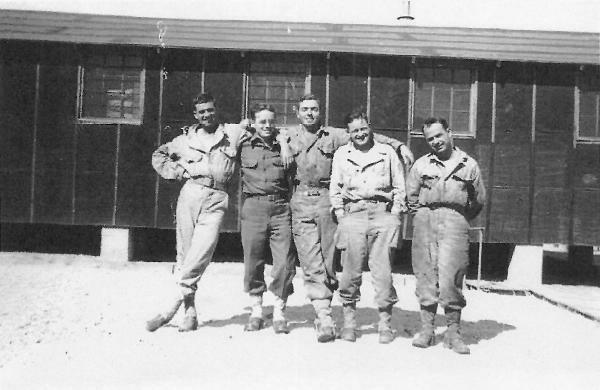 In the center of group: Pfc Pasquale Giglio, C Company 263d Engineer Combat Bn, 1944. 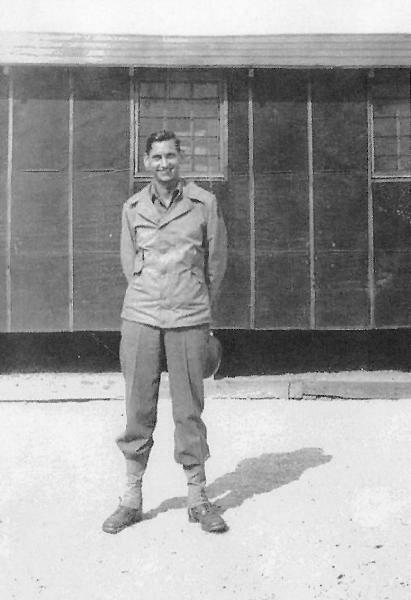 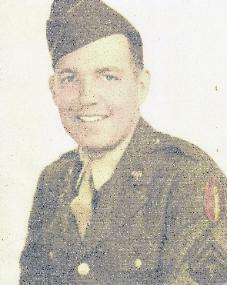 S/Sgt Henry J. Mullen, C Company, 263d Engineer Combat Bn, Camp Van Dorn, MS 1944. 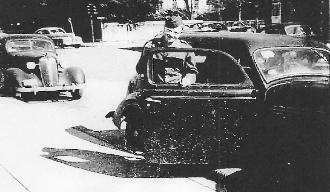 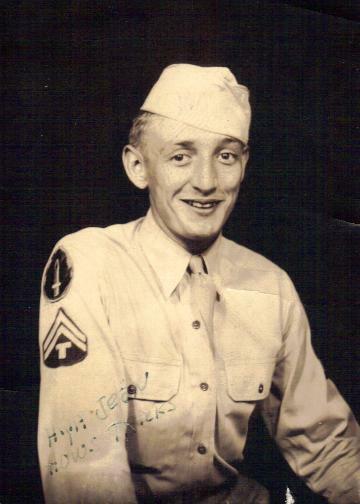 Left T/5 Leo D. Burrell C Company 263d Engineer Combat Bn, Camp Van Dorn, MS 1943. 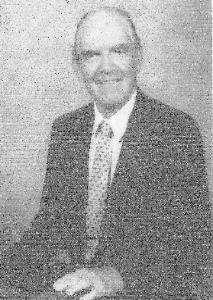 On the right is Leo D. Burrell in 2003. 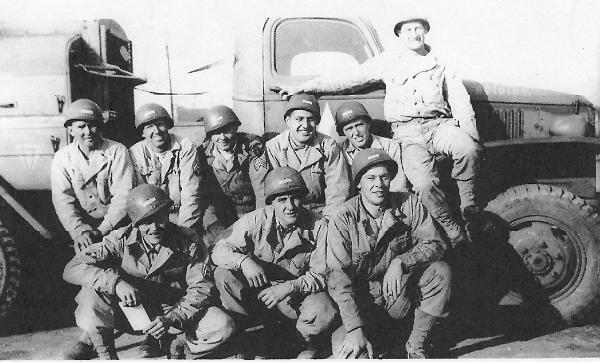 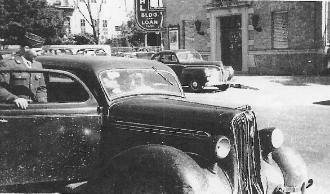 Last of photos sent in by T/5 John E. Lochner.